Pedagogy is the traditional teaching methodology often found in college classrooms. However, the term pedagogy was specifically coined for child-focused teaching within the arts and sciences (Taylor & Kroth, 2009). Pedagogy generally involves an array of strategies to deliver instruction, which can be effective for children. Pedagogical research minimally discuss the needs of the adult learner, which are different than children. These differences may include the reality of being out of school for years, family and work responsibility, first-generation college students, and non-traditional age. Therefore, review and use of teaching methodology that focuses on the adult learner at the college level remains imperative. When educating adult learners, the goal should be to provide a pathway for mastering the course content, as well as learning skills for career attainment while embarking a journey to establish a healthy sense of self. The term andragogy was first coined by Malcolm Knowles (1973). Andragogy proposes that the college experience should offer adult learners support in becoming independent thinkers, socially conscious, creating their own knowledge base, and career focused (Henschke, 2011; Holmes & Abington-Cooper, 2000; Knowles, 1980). Students participate in open ended questions and will hear phrases such as: Good try, Great idea, Not quite, but thanks for trying, I’m proud of you. Students are encouraged to flood the classroom atmosphere with questions; there are no questions that are undeserving of a response. They are redirected when using the phrase, “this may be a stupid question, but…”. As an alternative to this, they are encouraged to know that there are no stupid questions and no questions should go unanswered, even if they should know the answers. Students are often reminded to utilize office hours to get additional questions answered or concerns addressed. This supports the forming of a mentor-mentee relationship with the professor. It is in the developing of the mentoring relationship, students engage in an annual dinner with the professor. The annual dinner signifies the increasing support for students across academic tenure. It includes students who are currently enrolled in college and actively being mentored, along with those who have been mentored from 2010 when serving as an Adjunct Professor at Brooklyn College, and actively engaged in their career. This aids in fostering peer mentoring among students across cohorts of academic and career accomplishments. By engaging in these techniques, along with those documented in a forthcoming paper, I have witnessed its effectiveness on adult student learners. 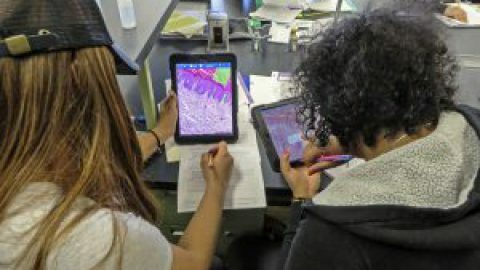 Techniques have demonstrated impact on academic performance with an increase in grades, but also an increase in positive self-outlook on academic and career experiences, potential, and future obtainment. Henschke, J. (2011). Considerations Regarding the Future of Andragogy. Adult Learning, 22(1), 34-37. Holmes, G., & Abington-Cooper, M. (2000). Pedagogy vs. andragogy: A false dichotomy?. Knowles , M. (1973). The adult learner: A neglected species . Houston: Gulf. Knowles , M. S. (1980). The modern practice of adult education . New York: Cambridge, The Adult Education Company. Seligman, M. E. (2007). Coaching and positive psychology. Australian Psychologist, 42(4), 266-267. Strayhorn, T. L., & Saddler, T. N. (2009). Gender differences in the influence of faculty–student mentoring relationships on satisfaction with college among African Americans. Journal of African American Studies, 13(4), 476.